Started working in glass in Idaho in 1990. He as been working in glass in California for 14 years. Dean attended The College of Idaho where he graduated with a B.A. in Art in 1990. He studied glass under John Anderson a graduate of San Jose Sate University and AlfredUniversity. His fascination in glass soon started a hunger for what he had been missing since his youth, an immersion into the exploration and development of his creative side. Upon receiving his degree he moved to Ketchum/Sun Valley, Idaho where he continued working in glass at a local studio. 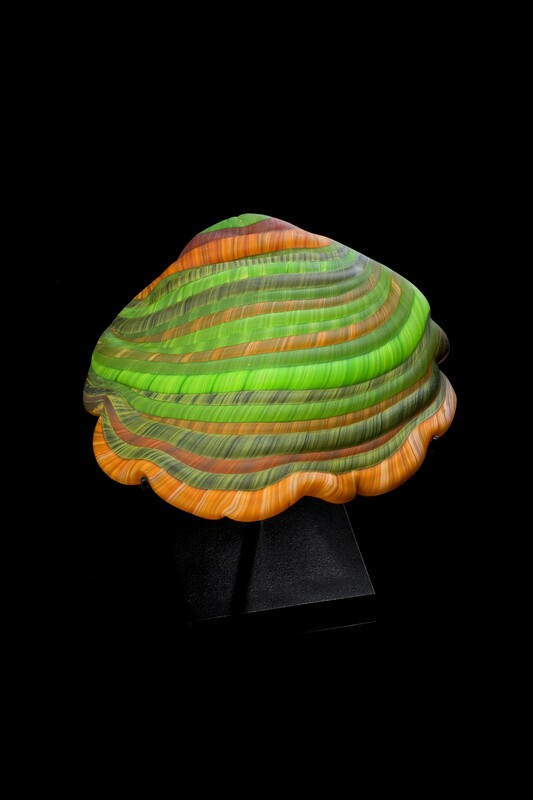 In 1997 Dean returned to California to pursue glassblowing as a full-time career. Immersing himself in the Bay Area glass scene, he began working for many local artists. Slowly he began teaching at places such as, San Jose State University, Palo Alto High School, Corning Glass School, Bay Area Glass Institute (BAGI), and Public Glass. 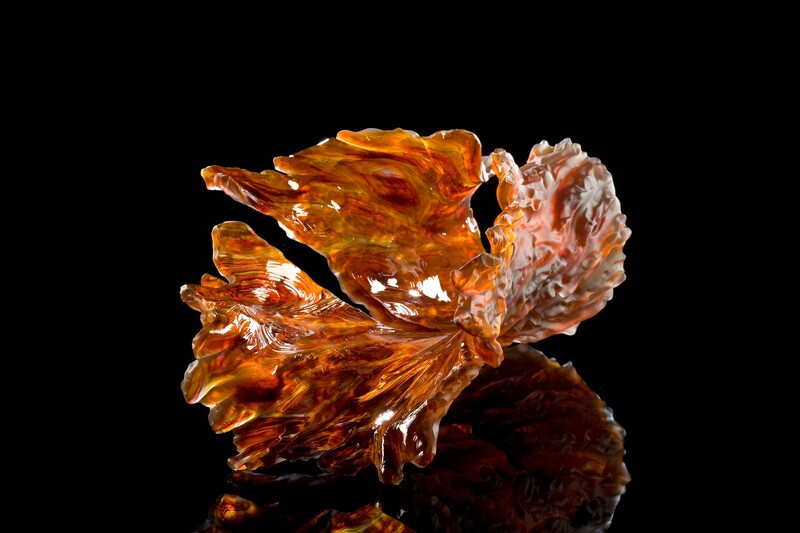 He attended Pilchuck Glass School in Washington on scholarship and has been recognized by local publications for his excellence in creating glass art. In 2007 Dean was featured on the Hallmark Channel’s morning show called “New Morning with Timberly Whitfield”. Dean’s work has been juried into many shows and exhibitions, like the San Francisco Airport Museums and exhibits at the Oakland Museum of California and Oakland Airport. His work is featured nationally and in many private collections. In 2002 Dean started to develop a body of work that would become the foundation for his ideas based on the existence of the Old Growth Redwood Forest. Using both clear glass and color, he focused initially on environmental concerns. As his concepts evolved, Dean’s work grew further investigating the life cycles in nature, their significance, and the interplay between the earth and various species. The extensive murrine patterns he uses in some of his pieces are the center point of this series. Each slice of murrine serves to highlight one of nature’s footprints, marking the passage of time and a glimpse of history, the rings of life in a felled tree. This entry was posted in 1990s Artists, Artist Bio, California Artists, Conference Presenters, Uncategorized by dale_beevers. Bookmark the permalink.